John Maxwell and Simon Sinek are both well knows Servant Leaders who have created cultures of success among their followers. These are two of my favorite quotes from them. Servant leadership seeks to involve others in decision making, is strongly based in ethical and caring behavior, and enhances the growth of followers while improving the caring and quality of organizational life (Spears, 2010). Servant leadership is a blend and balance between leader and servant. You don’t lose leadership qualities when becoming a servant leader (Pritchard, 2013). Following an exhaustive search about servant leadership, the decision was made to use ideas from Prichard (2013) and Spears (2010) to formulate the ten characteristics of a servant leader. Cultivates a culture of trust by reinforcing the skills of communication and decision making with a deep commitment to listening intently to others. The servant leader seeks to identify and clarify the will of a group. Listening coupled with periods of reflection, is essential to the growth and well-being of the servant leader. Accept and recognize people for their special and unique gifts. The most successful servant leaders are those who have become skilled, empathetic listeners. Support the whole person by offering opportunities for personal development outside the standard expectation. Assisting people with life issues while creating a balance to family and recreational activities. General awareness, and especially self-awareness, strengthens the servant leader. Awareness helps one in understanding issues involving ethics, power, and values. This characteristic of servant leaders is a reliance on persuasion, rather than on one’s positional authority, in making decisions within an organization. The servant leader seeks to convince others, rather than coerce compliance by using rank. The servant leader is effective at building consensus within groups. A servant leader is thinking about the next generation, the next leader, the next opportunity. That means a tradeoff between what’s important today versus tomorrow, and making choices to benefit the future. This leader also creates and implements the long term strategy for success. Enables the servant leader to understand the lessons from the past, the realities of the present, and the likely consequences of a decision for the future. Having a complete understanding that the institution is functioning for the greater good in society and serving others. The servant leader is deeply committed to the growth of all followers and recognizes the tremendous responsibility to do everything possible to nurture the personal and professional growth of all individuals. Build meaningful personal and professional relationships among followers and peers that encourage a togetherness featuring a group purpose. The trademark of a servant leader is encouragement and a true servant leader says “Let’s go do it”, not, “You go do it.” Servant leaders act in a selfless manner and want to find ways to benefit the entire group. Servant leaders are not created overnight but through a lifetime of experiences. The servant coach incorporates the servant leadership philosophy throughout their lifestyle. These characteristics should not be interpreted as a certain manner to behave but we would rather have each individual reflect upon their leadership behavior and determine the effectiveness of usage of each characteristic. As a leader, we must offer our blood, sweat, and tears to create a culture of success in all that we do and persuade others to do the same. When this happens, the appropriate environment is created and success is bound to happen. Thanks for participating in the EducatedCoaches.com blog!!! 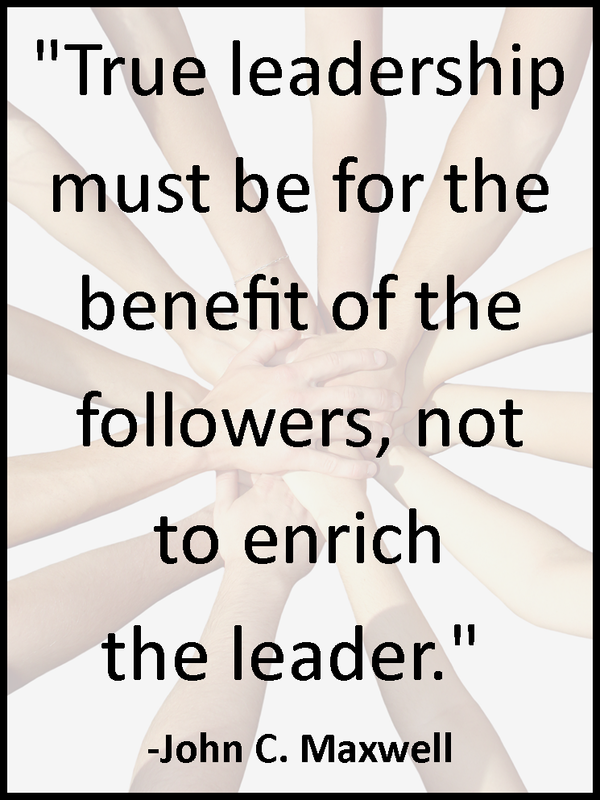 Previous Post Servant Leadership – Inspire Your Followers! Next Post Skills and Abilities: How do they Affect my Choices? Great stuff! Implementing this style over here in West Georgia! How are those TPS reports coming? Glad you like the blog!!! This is a good one! I think Blake is becoming a leader like this. I would have to agree. His ability to provide support for those around him and use his “persuasion” skills are remarkable. I am looking forward to his continued personal development!